can I be a pastor AND a mom? 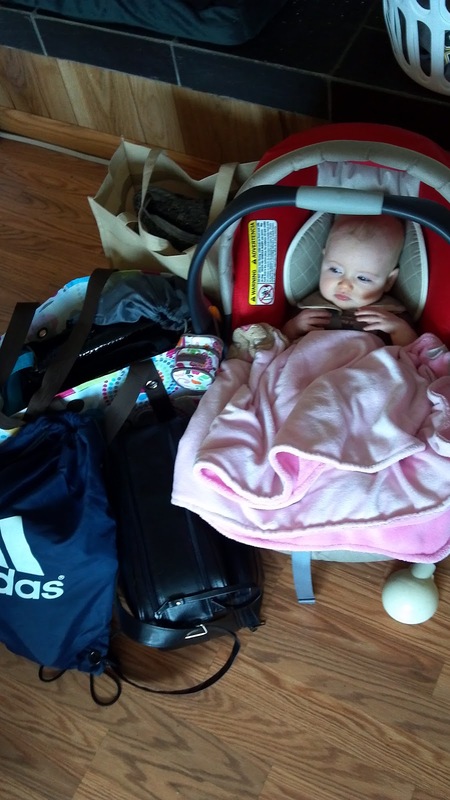 This morning I walked out the door with 7 bags and a 4 month old baby. Day care bag, pumping bag, cooler for milk, my lunch bag, gym bag, computer bag and our video camera for a work project. Ahh, how my life has changed. Until about four months ago, I wasn’t sure it was possibly to be a United Methodist pastor AND a mom. I hadn’t seen very many young female clergy who also stepped into the motherhood role. I started asking around through my social media networks and came across four friends who surprisingly said it WAS possible. DeeDee, Elizabeth, Molly & Jessica sent me messages of encouragement and the reality of what was ahead. We talked about nursing a baby in between morning worship services, setting firm boundaries for evening family time, the pain of leaving baby at day care, questioning our call into full-time ministry and what to do when your child walks up to you during your sermon! At first, I tried to be intentional about the role I was serving in the moment. If I was nursing Isabella at 2am, I was Mom. When I went back to work part-time and someone wanted to schedule a counseling appointment, I was pastor. 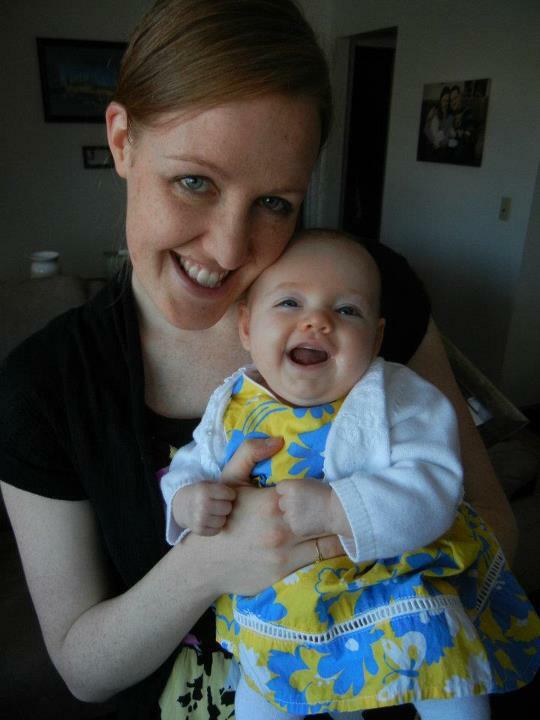 When my husband and I went on our first date 3 weeks after Isabella was born, I was wife. Sometimes, it was nice to separate those identities. But as time wore on, I realized it was also a gift to merge those roles. It was wonderful to take her with me to visit college students. They enjoyed playing with her and I hope it was a joyful moment in the midst of homework and tests. I’ll never forget taking Isabella to visit a wonderful woman who was dying of cancer. To see Marilyn reach out and take Isabella’s hand and light up in a smile took my breath away. Pumping at work and preparing bottles for Isabella merged my job and motherhood. It’s been a highlight to connect with many of the young mothers in our churches. I’m still overwhelmed with all the bags of used baby clothes and boxes of diapers that appear in my office from time to time. Isabella’s day care workers asked me what I do and later said they’d love to visit our church. They came last Sunday and are hoping to return. There are moments those identities swirl together in pretty funny ways. She started crying while I was preaching on Ash Wednesday. One time, I was nursing her in my office in between services and she got milk ALL over my clothes. I woke up on Easter morning with no voice due to the cold that she gave me from her first week at day care. I participated in a clergy retreat while walking around with her in the back of the room. I was at a Birchwood Camp meeting and she farted SO loudly that everyone started laughing. It hasn’t always been easy. Yes, I cried for three straight mornings after dropping her off at day care. Yes, there are many moments throughout the day where I want to leave work, pick her up and spend the rest of the day playing together. But has becoming a mother made me a better pastor? I think so. Is it possible to do both? Yes. And as I’m discovering every day, the duality of these callings have taught me a lot about the nature of God. Much of the spiritual life is about letting go. For years, I’ve reflected on this process in my own life. Now my daughter is teaching me that parenthood is continually letting go. We get to raise her and give her away. To daycare…to others who love her…to school…to a spouse…to God. What a difficult joy this is. Thanks for posting this! It's a balancing act that we never master, I think, but the roles serve each other well. I know I am a better pastor because I am a mother, and I hope I am a better mother because I am a pastor. Sometimes the opposite feels true, because time and energy are at a premium. But both are holy callings, and in the end, I think my kids and my congregation both benefit.